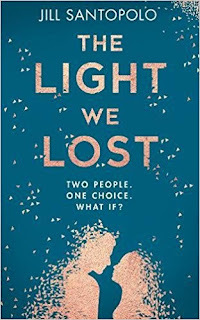 The Light We Lost by Jill Santopolo is such a remarkable debut that captured my heart. The authors voice shouts from the pages and it feels as though she is talking directly to the reader in such an open and honest way that soon pulls you in and melts your heart. Lucy and Gabe had such a powerful and intense romance but when they both have to make an important decidion regaring their passion for their careers and wanting to make a difference to the world their relationship comes to an emotional end. As Lucy tries to get on with building her life her thoughts constantly return to Gabe, can she truly ever feel the love she has for Gabe with someone else or are they destined to be together again? This book will leave a lasting impression on me as I found that it was such a thought provoking read that had me looking back at my life and the choices I have made and how different my life may have been if I had taken a different path and I am sure that every reader who falls in love with this book will find themselves looking back at their life choices. Lucy was such an honest and passionate character who like all of us is not perfect and makes her own mistakes and faces her own struggles but we watch her as she grows and faces these different moments and choices through her life and we can feel her raw emotion and pure love that she has so even when she is making wrong choices your heart still goes out to her as you know what led her to her actions. Although at times I felt that Gabe was selfish I still couldn't help but admire his passion and the work that he done but I just felt like he was missing out on the most precious gift in life and with each communication with Lucy I was longing for him to return. 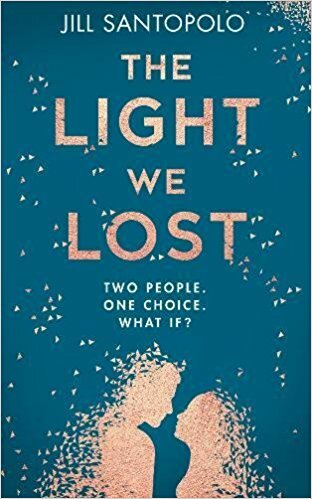 You will definitly have your heart strings pulled and may ever shed a tear too as by the time I had finished this book I just sat feeling emotional and drained at the same time. If you are looking for an compelling romance that also covers loss and looks at life's paths then this book will blow you away. I can not recommend this book enough and I am really looking forward to future releases by this author.